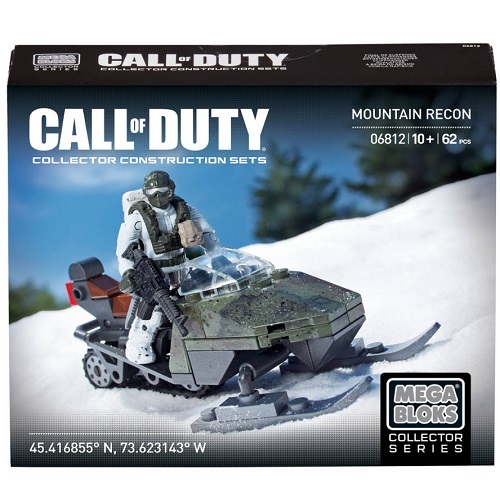 MBCOD: The Mega Bloks Call of Duty Set 6812 Mountain Recon [COD] is another set at an amazing pricepoint! An M.A.F., accessories and a buildable snowmobile should make this set extremely collectable. Includes seven highly detailed, interchangeable accessories and weapons like a removable combat vest, long distance backpacks (x2), ammo pouch, combat knife and more!